Choosing the right storm windows for your home is an important task. You want the money invested in the product and the home renovation job to be worthwhile. You want the products themselves to offer protection for your home both inside and out. In addition to these concerns, you want your new storm windows to help keep heating or cooling costs down. There are many types of storm window products to choose from ranging from inexpensive films you can custom cut to fit any window in the home to intricate custom made units that are designed and constructed by window professionals to protect historic landmarks. If your home is one that possesses historic architecture that deserves to be protected it does not have to be of landmark status in order to need storm windows that are carefully designed to provide a custom fit. The same is true for homes that have windows with unique angles or arches. A home can boast a beautiful front entryway, complete with decorative accent window pieces above the door. These units need as much protection against harsh elements as any others do around the house. In fact, they may even require more protection if they were custom designed for you originally. 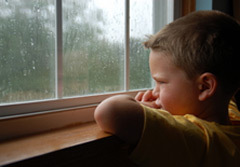 Choosing an ideal storm window product, therefore, is not always easy. 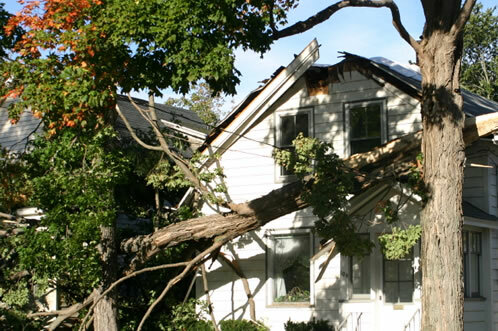 Ideally, you want to protect your family and property from damage caused by inclement weather. You also want to keep everyone comfortable all year long and not have to see high energy bills arrive in the mail each month. This is why, sometimes, it is vital to choose a storm window product without basing that decision on cost alone. A storm window kit which contains a film that you can cut to any design you need may be one of the most inexpensive options available. But, if your home does have historic value, or your home has specially designed decorative windows that you already invested money in you may want to keep shopping for a better storm window product for your needs. If necessary, it may be best to protect any custom window designs with custom designed storm window units. If it makes sense to go ahead and get custom designed storm window units, getting the correct size may be as simple as allowing a storm window manufacturer assist you. This is wise since they can also back the work they do for you by perhaps offering a long-term warranty for the custom crafted product. For those units that require custom designs by professional window manufacturers, make it a point to buy only from those professionals who can offer warranties or even guarantees for the work they do. The process of getting the right size, shape or degree of storm protection may not be this involved for every homeowner. For those who are looking to get ample protection and save money at the same time, there are inexpensive options they can consider. Some storm windows are designed in different tinted colors. These units can easily be installed by a homeowner with few tools. Tinted storm windows can allow an enhanced look to a certain room of the house while providing added, yet inexpensive, protection against extreme weather conditions. These types of storm window units often help transfer day light from the outside to the inside making it easier to get warm and use less energy resources in the process. Choosing a storm window design can be a project that allows you to express your style while getting the added protection the home needs.